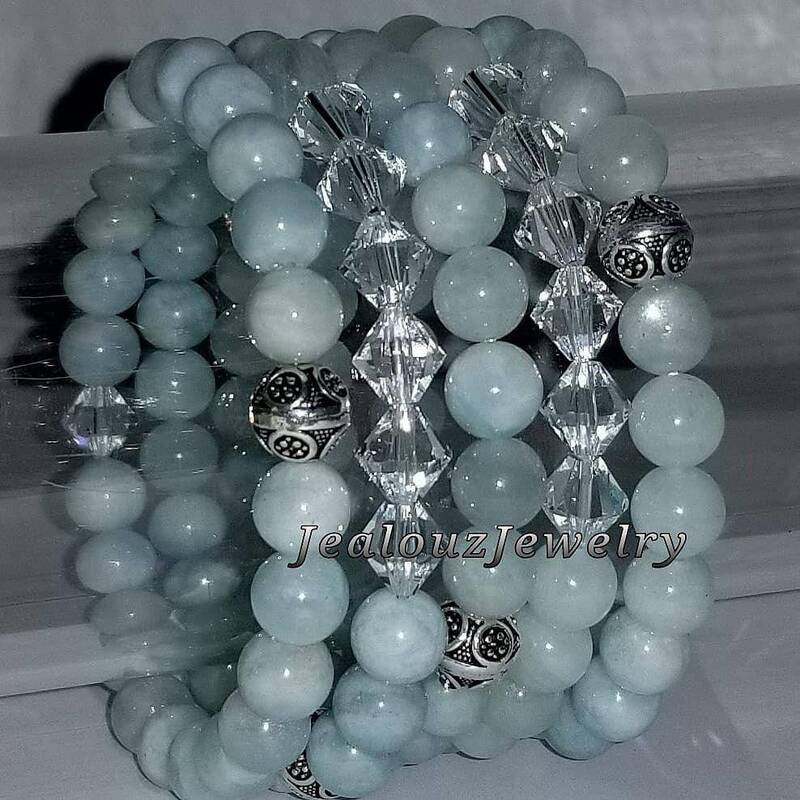 You Are Buying A Handmade High Quality 8mm Gemstone Beaded Sterling Silver 7" Bracelet Set Made With Love And Positive Energy! The soothing energy of Aquamarine makes it a perfect companion to calm fears and phobias. Aquamarine is a “Stone of Courage and Protection”. Used often with the Throat Chakra, Aquamarine can be used to promote verbal self-expression. It is often used to enhance spiritual communication and clear communication blocks. Aquamarine is also known to restore thevibrancy and beauty of youth with its incredible anti-aging properties. To access the healing powers of Aquamarine, rejuvenate your complexion and your aura with a simple stress reducing ritual that helps to restore tranquility, a routine perfect for the morning or evening. Bracelets can be made to fit any size wrist needed please message me at the end of checkout!